The North West’s only dedicated float centre with three spacious, state-of-the-art pods. 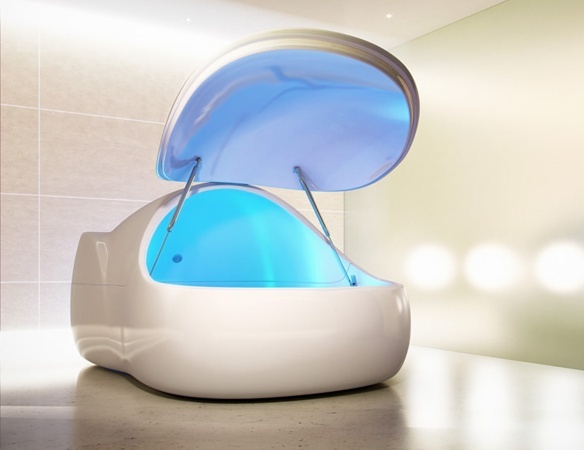 Get the PURE float experience at Float Level in Manchester City Centre. Floatation is one of the easiest and yet most rewarding tools for achieving deep relaxation. An experience like no other awaits you. A new level of relaxation is just the start… From professionals to musicians, chronic pain sufferers to top athletes, see why more and more people are floating. Wondering whether it's safe, hygienic or whether you may feel claustrophobic? Don't worry. Head over to our FAQ area and put your mind at ease. Nobody likes living with “what ifs”! With the numerous benefits and scientifically proven results, floatation is something that can enhance your everyday. Don’t miss out! Wayne Rooney, Daniel Craig, Robert Downey Jr as well as several Olympic Teams (to name just a few) have used floatation tanks to get the edge. Rise above the rest and book your session today. I-Sopod Floatation Tank - You just have to get in! What do Float Level's customers say about the float experience? I began to visualize a corridor. Behind each door was an aspect of my life; my work, my family, my relationships, and I began to enter each room and observe what was in there. What I found gave me good insight into my quality of life and more importantly my desires to improve this. You can read more customer insights at our Perspectives From The Pod blog to get a feel for the float experience at Float Level. That said... it is something you really need to experience for yourself!